Founded in 1992, Kerry's Kollectibles began as a husband and wife operation by Charles and Kerry Trussell. The business began simply, with Charles building each piece by hand, while Kerry stained, finished, and did the glass work. 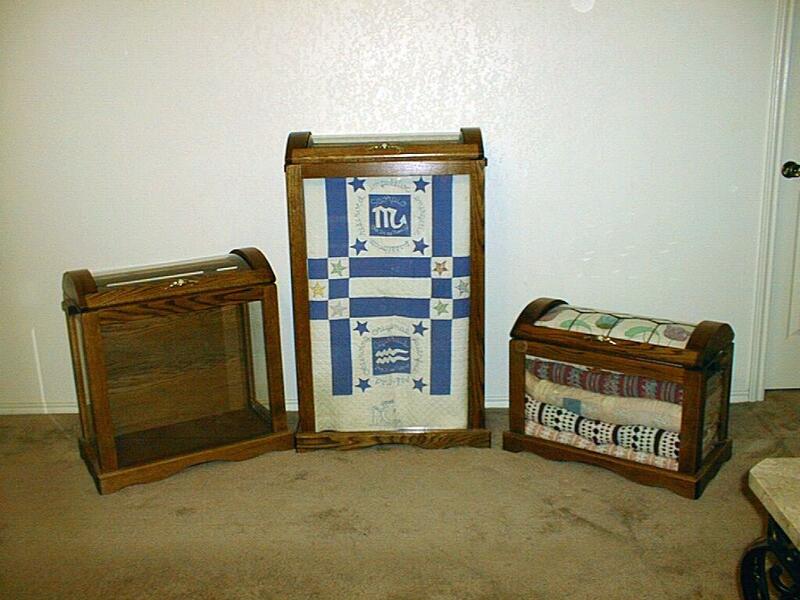 Over the years, Kerry's Kollectibles has expanded and grown, but has maintained a strong sense of customer service and a commitment to bring our customers quality quilt chests and quilt curios at affordable prices. Located in beautiful New Braunfels, TX, Kerry's Kollectibles handcrafts each and every piece using the best Northern red oak available.